We address questions and concerns about for real-estate guest blogging. What is real-estate guest blogging (or posting)? 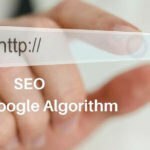 Will it increase my real-estate website rank on Google? Is it a safe, “white-hat” SEO tactic? 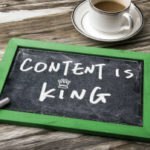 What is the process for real-estate guest posting? What changed in Google’s algorithm? We also cover what you should avoid when guest posting for backlinks. Not long ago, BLOGGING was all the rage in the world of real-estate digital marketing. You couldn’t go anywhere without someone telling you that if you weren’t blogging about real estate, then you were missing the boat. Many busy Realtors were led to hire professional copywriters to create blogs for them. Please don’t misinterpret! We’re not saying that your real-estate website shouldn’t be pushing out original content in the form of blogs and socially syndicating them for exposure and to generate traffic. That still needs to happen! Social Signals. Social signals are when someone shares content from YOUR website on a social media platform. Many SEO gurus have claimed that social signals do not directly affect SEO, but others claim it does have both direct and indirect ranking factors. No one really argues that social signals—whether referring to your brand or linking back to your site—are a good thing. Backlinks. The tangible potency of a content marketing campaign comes from the natural creation of backlinks to your site from other websites within the same business niche or vertical. When you write good copy and have it pushed throughout the Internet, the intent is that someone will create a link from their website that will point to your awesome content! 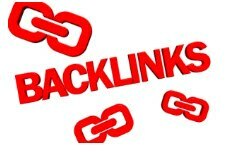 Those backlinks are the #1 factor for ranking any website. What the current trend is to offer, to the owner of a strong authoritative website, that you will write some great, original content for THEIR website. When writing that content, you would of course add a back that points back to your website. Seems like a legit offering; a true value exchange is happening. One site wants and needs some original content, and the other site wants and needs a backlink . . . now everyone is happy. Limit number of Links within the guest post itself. One or two internal links will do. These links will be from within the article to other pages on the site to which it will be posted. Let’s say you have the words, “the effectiveness of an open house,” in your guest-post article and the destination has its own article on “the effectiveness of an open house.” THAT would be a perfect internal link. Inclusion of a good internal link is critical: a blog post on a site that has NO internal links looks extremely fishy to Google! Use specific authority links. This is another biggie for any blog post, especially a Guest Post with a link pointing back to your site. Find a several terms in the blog that you can use to link out to a high-authority website that covers the topic in detail. Submit the article for posting. We strongly recommend submitting the article in a TXT file (like Wordpad) that has the HTML included for posting. This ensures that your hard work on the links and formatting won’t go to waste. Also, many will request that you submit your blog for “approval” before they guarantee posting. SEMrush: SEMrush is a full-featured SEO platform with a ton of features. You only NEED to use the tools for a while and document all of your findings. Their 14-day free trial is a pretty good option for those that are “thrifty.” Watch out—this is a top notch SEO tool, and you may find yourself becoming addicted! The post Real Estate Guest Blogging appeared first on One Click SEO.